He/she can fly and swim just fine. The only problem he/she has is walking on the ground. He is at the small lake by apartment complex, people say that the water is warmer in this lake than in a regular lake. People that live there bring food. But it's cold, we are having winter storm. A zoo that is 50 minutes drive away can take a wild goose for Rehab, the only problem - it's hard to catch him. I brought some food today and threw towards this goose , and he ate, but he wouldn't let me close. I even brought a sheet and a large cardboard box to put him in. No luck. As soon as I would get too close, he would attempt to fly into the lake, so I left him along. Actually the question I have is if a broken leg can be fixed at all at the Rehab. Or all the do would be providing a safe environment for him till the rest of his life? If they can fix the leg and release him back into wild healthy, I would try harder to catch him, maybe by feeding him and earning his trust over time. If it can't be fixed, then he just needs to adjust where he is at. What food is good for a goose during winter ? 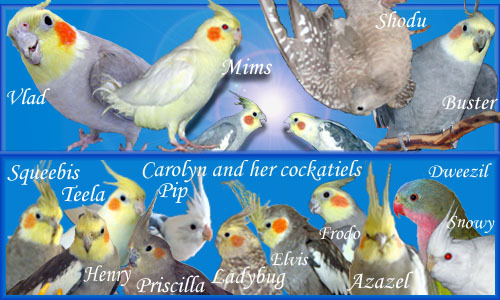 Rehabbers don't normally keep birds, in fact they're not allowed to keep them except for a few "education" birds. If a bird can be cured and returned to the wild they do that, and if the bird can't be cured it is euthanized. A zoo is not the same thing as a licensed wildlife rehabilitator of course, so their rules might be different. But I'm sure that they don't have the space to keep every bird that's brought to them. An informal rule about sick or injured wildlife is that if you can't catch it, it's not in bad enough shape to really need your help. Whether or not the leg can be fixed will depend on the nature of the injury, but there are lots of wild birds who are doing OK with a bad leg or with only one leg. If there's a wildlife rehabber in your area who can actually come out and catch him for you, then you can consider asking them to do it. But otherwise it's probably best to just leave him alone.